Welcome to this page of educational resources. Whether you are new to CMR or continuing your professional development, this page can direct you to resources to facilitate your learning. As the clinical indications for CMR continue to expand, these pocket guides give an overview of established normal ranges for CMR measurements, common acquisition methods and clinical indications for CMR. Typical scan protocols, tips and tricks and a guide for reporting are provided for each indication. Available here via the ESC. Cardiovascular Magnetic Resonance Pocket Guide by Bernhard Herzog, John Greenwood, Sven Plein, Pankaj Garg, Philip Haaf, Sebastian Onciul. Congenital Heart Disease Pocket Guide by Bernhard Herzog, Ananth Kidambi, George Ballard. Physics for Clinicians by David Broadbent, Ananth Kidambi, John Biglands. BSCMR+BSCI_CMR_standards_2010 Published 6th April 2010, review date April 2012. This document outlines all aspects relevant to the roll-out of CMR in the UK including: estimated scan and centre numbers needed nationally, minimum equipment standards, staffing standards, minimum scan numbers per centre, staff training, governance, audit, and a voluntary system for centres to become peer-reviewed by the CMR. 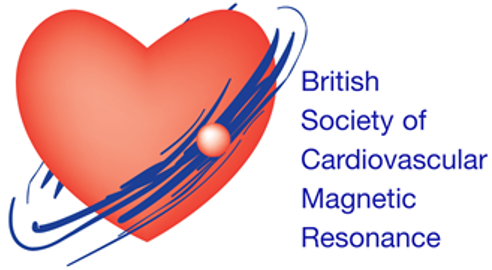 Cardiovascular magnetic resonance physics for clinicians: part II John D Biglands, Aleksandra Radjenovic and John P Ridgway. Journal of Cardiovascular Magnetic Resonance 201214:66. This survey, published in 2011, was made Dr Renjith Antony in association with Dr Mark Petrie at the Golden Jubilee Hospital in Glasgow and was supervised on behalf of BSCMR by Dr Gerry McCann at Leicester Royal Infirmary. The survey shows that CMR is growing rapidly in the UK with 60 active centres, 53 of which responded to the questionnaire. The vast majority of scans are still performed in a small number of high-volume centres and there are a number of smaller units undertaking less than the number (500) per annum that is recommended to maintain competence and for training purposes. There also seems to be a deficiency in formal audit processes. The survey has also flagged up two further areas of concern: 1. training and mentoring, particularly in smaller volume centres; and 2. regional disparity of access to CMR services that will need to be addressed by the cardiovascular imaging community. The Society will play a leading role in this process working with other key stakeholders. Please find a link to the article, published in the Journal of Cardiovascular Magnetic Resonance (an open-access BioMed Central journal), here.